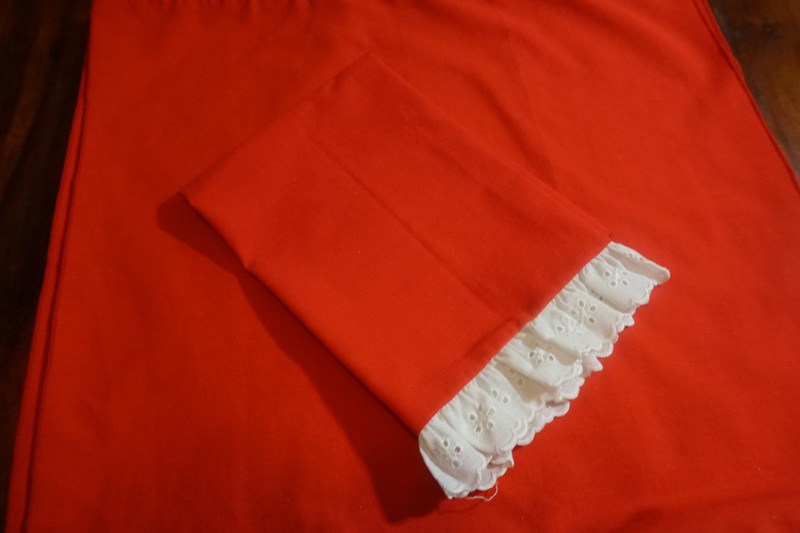 These 1970's era red napkins have a fun eyelet ruffle at the bottom. 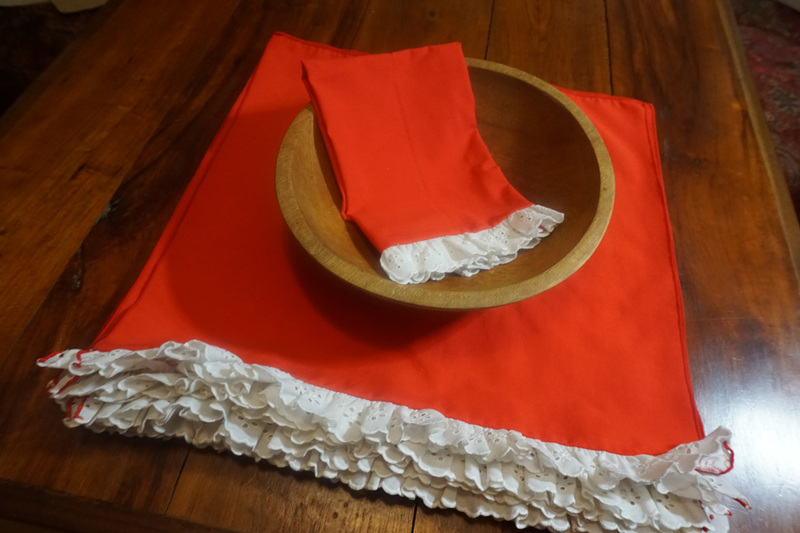 Perfect for a fancy picnic, July 4 party, Valentine's Day table! 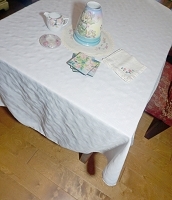 This is a set of 12, each measuring 17" square.